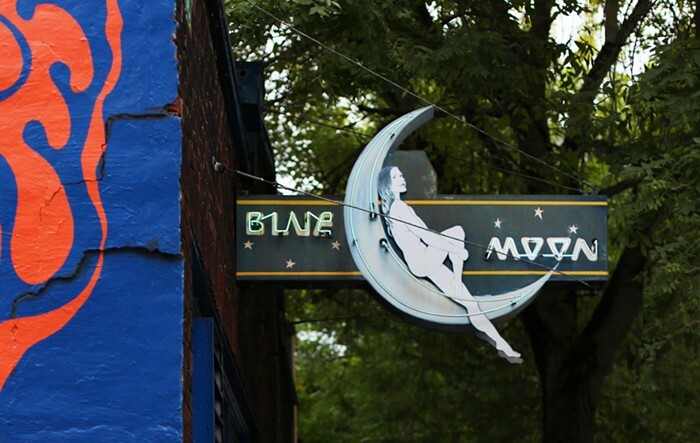 With us since 1934, the Blue Moon's dingy but well-loved, and pretty much everyone is welcome on its barstools. Plus it hosts a wide variety of local talent, from stand-up comedians to live music, almost every night of the week. Opera on Tap: Blue Moon's Anniversary! Happy Hour Daily open-6:30 pm ($1 off cans, bottles and wine, $1.50 off drafts, $2 off wells).